A reader from Argentina sent this photo taken at an outdoor market somewhere in the countryside. Carlos Bala a.k.a. 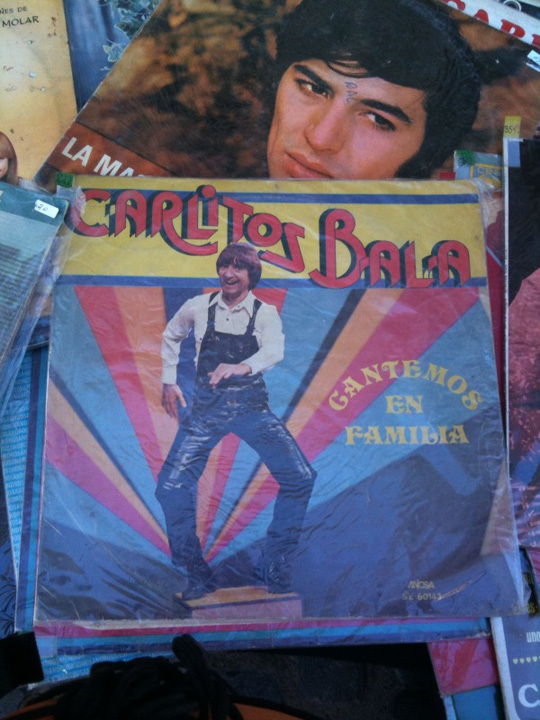 Carlitos is an Argentine entertainer. His last name means snot. Yup, the nasal excrement. I suppose the leather overalls are good for wiping the snot. Was the Simple Jack character in Tropic Thunder based on Carlitos Bala? Here is Carlitos Wikipedia entry.